Changing Lives One Haircut & Shave at a Time! 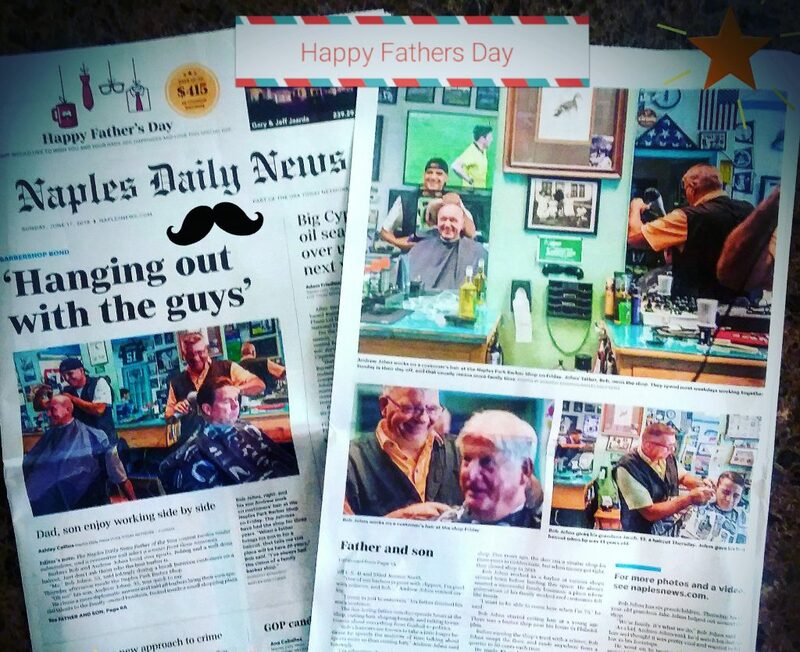 We’re were very honored to be on the front page of Naples Daily News on Fathers Day. Read the full story about the fun-loving father and son duo who’ve been cutting hair side-by-side for over three years now. Mon. – Fri. 9:00 a.m. – 6:00 p.m.